We carry three distinct cabinetry lines that offer something for virtually any space. The cabinets that you use each day are an important part of staying organized, creating a hospitable place to live and work, and enjoying the beauty that your home or business environment has to offer. If you are dissatisfied with your current cabinetry, turn to us at Cornerstone Kitchens for the services and solutions you need. As a family-owned and operated business, it’s important to us to provide our customers with exceptional service from start to finish. During your initial consultation, we’ll go over your cabinetry needs, determine your budget and the cabinets that offer the best value, and schedule installation to be completed by our team. While our name focuses on kitchen cabinetry, this isn’t the only place you’ll find us ready to create solutions in your home. We’ll be happy to help you address your laundry, bathroom, and office areas with expertise and skill. 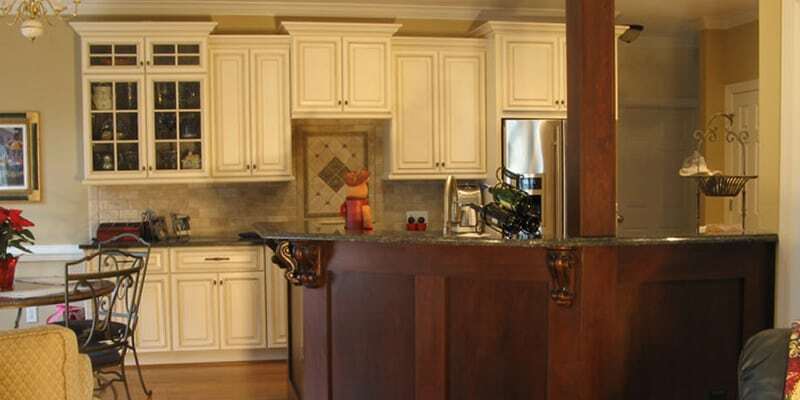 It’s important to us that you feel as though you have superior cabinets and have received equally superior customer service from start to finish. At Cornerstone Kitchens, we carry three distinct cabinetry lines that offer something for virtually any space without your feeling overwhelmed by the options. Whether you want standard sized cabinetry or are looking for a custom option, we promise to deliver quality results you’ll love. Contact us today to schedule a consultation and to learn more about our leading cabinetry brands. Our many satisfied customers in the Raleigh, North Carolina area will tell you that our services are the ones to beat. We look forward to serving you.